In an article talking about how Dennis Kelly (British series “Utopia”) has been brought on board to write the latest draft of World War Z 2, The Hollywood Reporter says that Paramount Pictures is moving full speed ahead now with the sequel after director J.A. Bayona was approached by Universal Pictures for the Jurassic World sequel. Bayona is known for directing the 2007 horror film The Orphanage and the 2012 drama The Impossible. 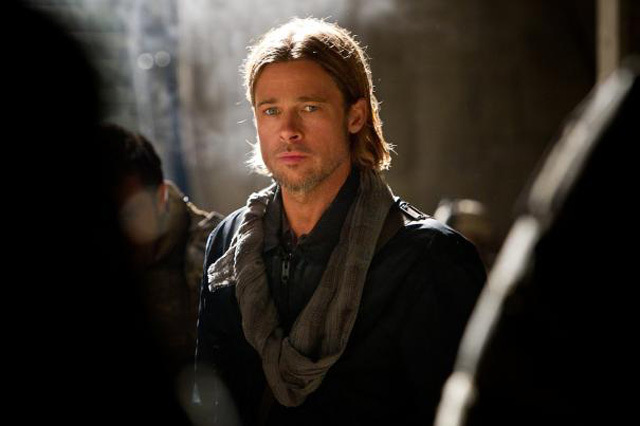 Starring Brad Pitt, the first World War Z was a big hit worldwide with $540 million grossed, though the production was plagued with problems and expensive reshoots of the third act. The film, based on Max Brooks’ novel, was directed by Marc Forster on a $190 million budget. Dennis Kelly is rewriting an earlier draft of the sequel by Steven Knight. Skydance Productions is co-producing and co-financing the film. World War Z 2 is scheduled for a release on June 9, 2017. Pitt is producing alongside Dede Gardner, Jeremy Kleiner, Ian Bryce and Skydance’s David Ellison.